The roars of lion are often heard at night as guests congregate around the campfire drinking in the unique and magical sounds of the bush. Masinda has been extensively re-furbished, offering three luxurious en-suite bedrooms featuring a décor rich in African art and craft design reflecting the artistry of to the local Zulu people. All activities for Masinda Lodge visitors only take place at Mpila Resort and they are not included in the accommodation price. 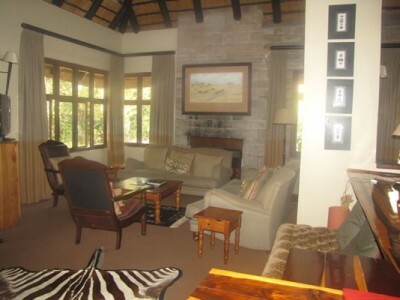 The Lodge is serviced daily by a lodge attendant who prepares food supplied by guests. Please note: The Lodge is not fenced and while you may enjoy game viewing from your accommodation, please do not walk beyond the vicinity of your unit.